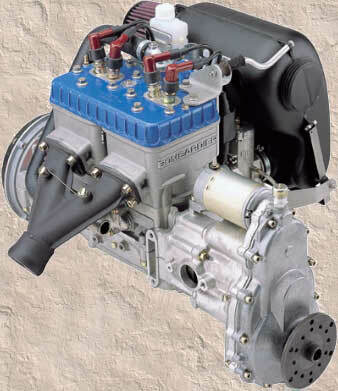 Our Engine Accessory Packages include Rotax accessories (oil injection tank, dual radiator) and Kolb Aircraft's accessory package (Kolb Kit), and inbound freight. 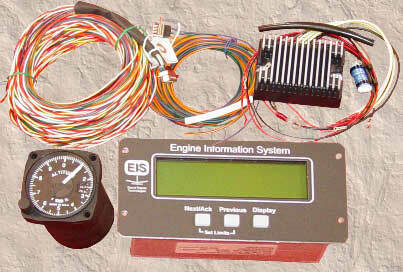 See installation weights and fuel consumption below. 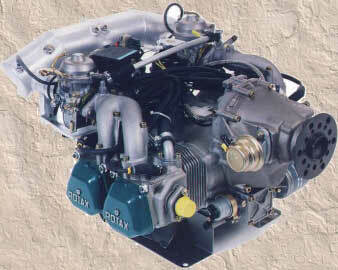 Our Engine Accessory Packages include Rotax accessories (oil cooler, radiator, stainless steel exhaust) and Kolb Aircraft's accessory package (Kolb Kit), and inbound freight. 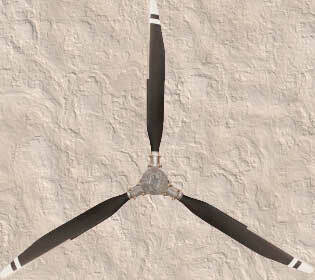 The IVO PROP operates on a COMPLETELY NEW AND UNIQUE adjustable pitch system that allows for substantially less hardware and rotating mass than any other ground pitch adjustable prop. 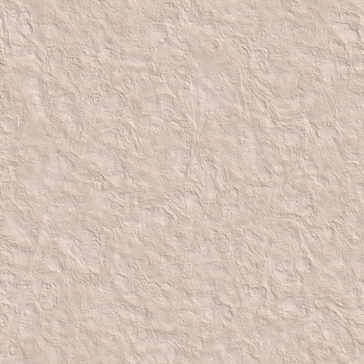 The unique pitch adjustment design operates on the principle of twisting the blades through the chrome-moly alloy steel torsional rod cast inside the blade. The outer end of the torsional rod is firmly anchored inside the outer blade section. The round torsional rod is capable of rotating inside the blade, except for the outer end.  Adjust the pitch on the ground in a matter of seconds by turning the screw adjustor in the center of the prop. The super cams are installed on the end of the torsional rod. Each super cam fits into the groove in the screw adjustor. Turning the screw adjustor causes each cam to rotate and turn the torsional rod twisting the blade changing the prop pitch. These props are made of a solid carbon fiber matrix (no foam core), have ground adjustable pitch and can be configured with 2 to 12 blades. 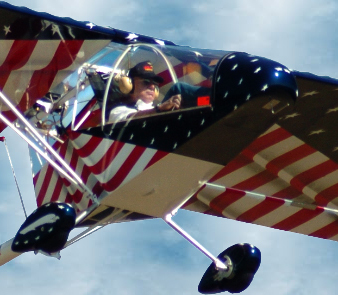 They may be used on most home-built, experimental and ultralight aircraft, including airboats and hovercraft. These props are compatible with most engines. Warp Drive manufactures propellers for applications where engine horsepower far exceeds 115 hp unlike some sport propeller manufacturers. Warp Drive, Inc. offers a lifetime guarantee of complete satisfaction to the original purchaser on all of their propellers. 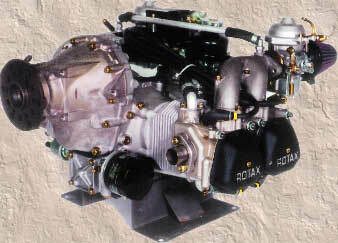 4" prop spacer is required with Rotax 912/912S engines. 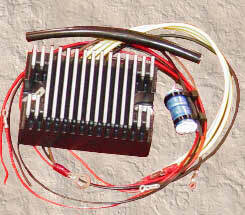 3-Blade Prop with HPL Hub. Painted Tips and Tapered Tips. Each Tennessee propeller is solidly built by skilled craftsmen from the finest selection of hardwoods. 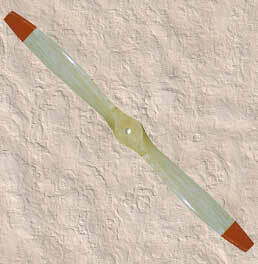 The laminated propeller is carefully assembled, carved, balanced and finished. Standard Rotax hub bolt pattern. 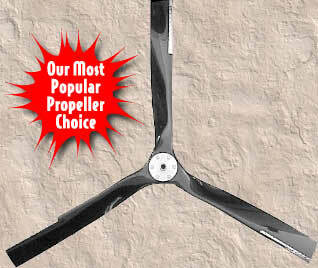 This is your basic, least expensive propeller choice. You will only need this if your installation has a battery.